Wastewater Treatment Plant Neighborhood Meeting. Have you ever wondered where used water (“wastewater”) goes after it leaves your home? Did you know that it eventually reaches the San Francisco Bay? It first travels through a series of sewer pipes and pumps called a sewer collection system and then gets treated at the Wastewater Treatment Plant before it is safe to flow into the Bay. 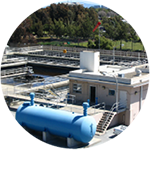 Read Wastewater: The Basics to learn all about San Mateo’s sewer collection system and Wastewater Treatment Plant! 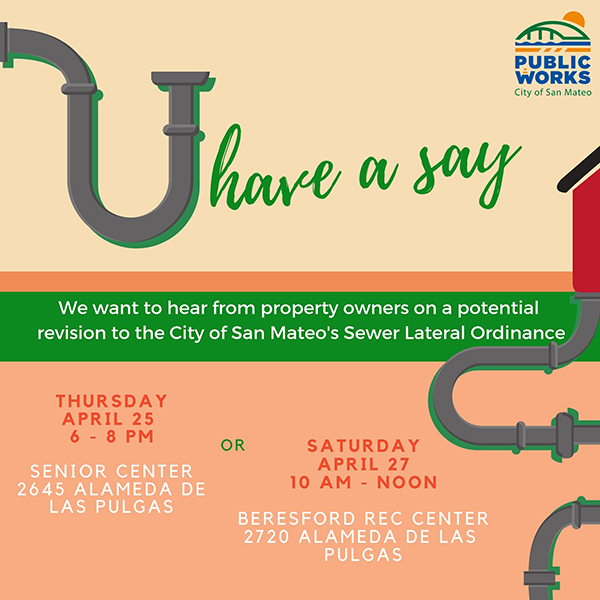 Residents of San Mateo are invited to attend two upcoming meetings to learn more about the Wastewater Treatment Plant Upgrade and Expansion Project, which is anticipated to begin construction this summer. 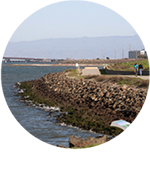 Thursday, May 2: 6 p.m. – 8 p.m. Wastewater Treatment Plant Neighborhood Meeting, LEAD Elementary School, LGI Room, 949 Ocean View Avenue, San Mateo. At this meeting, Clean Water Program staff will provide a brief informational presentation, followed by a question-and-answer session. We want to hear from you! As part of the Clean Water Program, City of San Mateo Public Works staff are proposing a revision to the City’s Sewer Lateral Ordinance. Residents are invited to one of two community meetings; Thursday, April 25 from 6-8 p.m. at the Senior Center at 2645 Alameda de las Pulgas, or Saturday, April 27 from 10 a.m.-noon at Beresford Recreation Center, 2720 Alameda de las Pulgas. At each meeting, staff will present three options for a potential revision to the ordinance. Feedback from these community meetings will inform the proposal to the May 20 City Council Study Session meeting. The public is invited to review and comment on the Draft Environmental Impact Report for the Underground Flow Equalization System, formerly called the In-System Storage Facility. This project is part of the City’s 10-year program to improve and repair the aging sewer collection and treatment system, and prevent sewer system overflows during heavy rains that threaten the health of city streets, beaches, and waterways, including the San Francisco Bay. The project would be located in the eastern portion of the San Mateo County Event Center Parking Lot. The Draft EIR is available for public download and review at here. Hard copies are available at City Hall, the San Mateo Main Library, and the Hillsdale Branch of the San Mateo Public Library. A hearing and opportunity for verbal comments was provided at the April 9, 2019 Planning Commission meeting. The project is currently under review by City Planning for a Special Use Permit, which also was discussed at the April 9 meeting. The deadline to submit comments on the Draft EIR is May 7, 2019. For more information on the Special Use Permit, please click here. 42nd Ave Pump Station Rehabilitation Complete! Rehabilitation of the 42nd Avenue Pump Station is considered complete as of Friday, April 12, 2019. This high-priority work is a critical project to help ensure that the existing collection system components continue to function optimally. The project consisted of three elements: 1) rehabilitation of an underground pump station, 2) replacement of underground electrical conduit, and 3) installation of a new, above-ground standby generator. Pump stations are a necessary component of the wastewater collection infrastructure. These pumps keep water moving upward from underground pipes and ultimately to the wastewater treatment plant. Over time, underground pump stations corrode and break down, potentially leading to failure resulting in the sewer overflows we are trying to prevent. The rehabilitation included repairing pipes and valves, as well as recoating the existing wet well and underground vaults. The project also included replacing electrical and instrumentation controls, constructing remote motor control center and transfer switch, and installing new valve access hatches. Aging and deteriorating electrical conduit was replaced along El Camino Real from 42nd Avenue to 43rd Avenue for the new backup generator across 43rd Avenue. 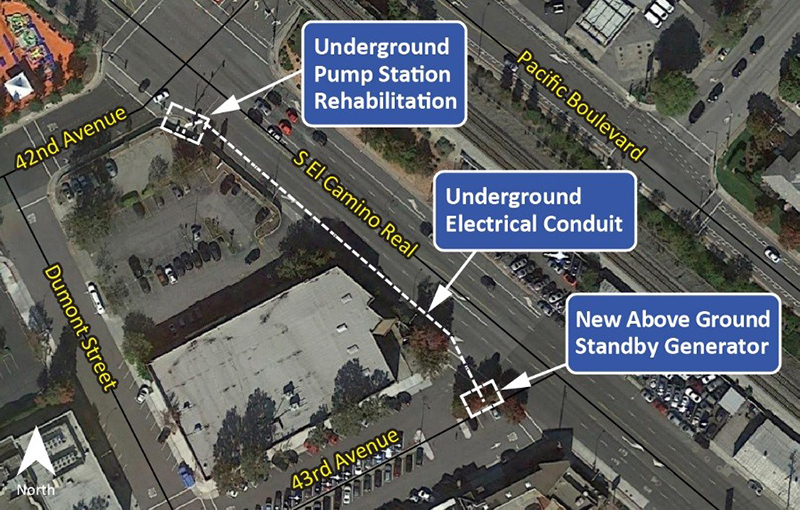 New electrical conduit also was installed along El Camino Real from the pump station and across 43rd Avenue to the new above-ground generator. This work included excavation of existing material, installation of new conduit, backfilling, and final paving. Standby generators automatically come online during outages so that pumps continue to keep wastewater flowing through the collection system. A more compact, diesel-powered standby generator and fuel tank have replaced the aging standby generator. This was more cost-effective and efficient than maintaining the previous generator with available parts. A new generator pad area was constructed, as well as a remote motor control center and transfer switch. The new system includes new switch gear, batteries, and battery chargers. 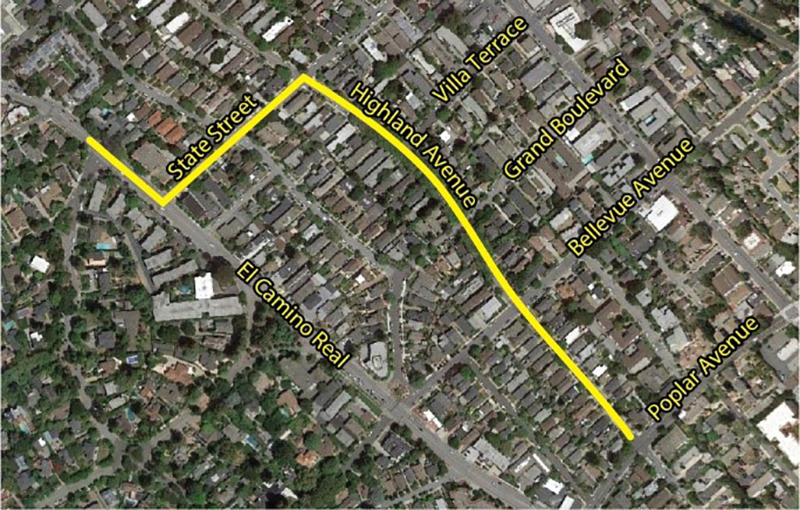 Crews will begin work in early May on State Street between Highland Avenue and El Camino Real. This project involves the installation of nearly 2,600 feet of new 15-inch diversion pipe. This project is one in a series that is intended to increase sewer pipe capacity to manage high flows from heavy storms, to help prevent sewer overflows, and to help meet regulatory requirements. 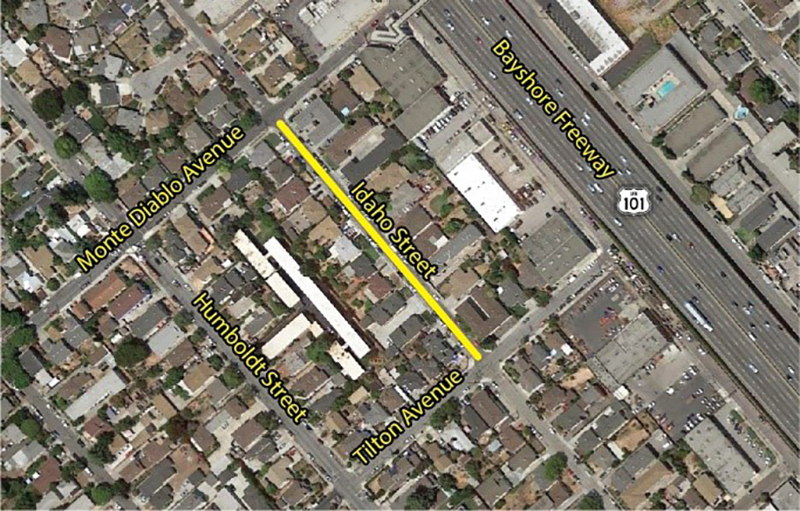 Using hydraulic modeling technology, our engineers identified the need for a new diversion pipe extending from El Camino Real, down State St, then down Highland Ave to Poplar Ave. This upgrade was found to be the most cost-effective solution, and one that minimized disruptions to the community. The public is invited to review and comment on the Draft Environmental Impact Report for the Underground Flow Equalization System, formerly called the In-System Storage Facility. 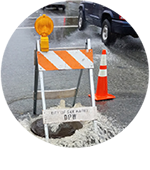 This project is part of the City’s 10-year program to improve and repair the aging sewer collection and treatment system, and to prevent sewer system overflows during heavy rains that threaten the health of city streets, beaches, and waterways, including the San Francisco Bay. The project would be located in the eastern portion of the San Mateo County Event Center Parking Lot. The Draft EIR is available for public download and review here. Hard copies are available at City Hall, the San Mateo Main Library, and the Hillsdale Branch of the San Mateo Public Library. You are invited to learn more about the environmental impacts covered in the Draft EIR and provide verbal comments at the April 9, 2019 Planning Commission meeting. The project is currently under review by City Planning for a Special Use Permit, which will also be discussed at the April 9 meeting. For more information on the EIR, and answers to frequently asked questions, please visit the Clean Water Program website. For more information on the Special Use Permit, please click here. 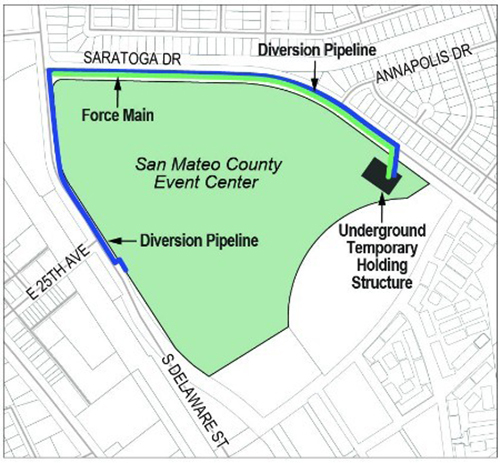 San Mateo residents are invited to attend two upcoming meetings to learn more about the Wastewater Treatment Plant Upgrade and Expansion Project, which is anticipated to begin construction this summer. Crews will begin work this week on Highland Avenue between Poplar and State streets. 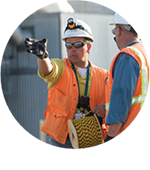 This project involves the installation of nearly 2,600 feet of new 15-inch diversion pipe. This project is one in series that is intended to increase sewer pipe capacity to manage high flows from heavy storms, to help prevent sewer overflows, and to help meet regulatory requirements. North Idaho Sewer Rehabilitation Project Completed Ahead of Schedule! As part of the Clean Water Program, the Public Works Department is replacing existing sewer pipes with larger pipes in several areas throughout San Mateo. These improvements will increase the capacity of the sewer system and reduce sewer overflows that occur during storms. Using hydraulic modeling technology, our engineers identified the sewer pipe in North Idaho Street as being in need of upsizing. The North Idaho line is a primary line that moves flow from the north end of San Mateo to the wastewater treatment plant. Approximately 663 feet of 15-inch pipe was upsized to new, 24-inch pipe. This upgrade was found to be the most cost-effective solution, and one that minimized disruptions to the community. Cratus, Inc. was contracted by the Clean Water Program to perform this work. The map below shows the project location. We appreciate residents’ and businesses’ patience and cooperation during the work on this important project! The Draft EIR is available for public download and review here. On February 19, 2019, the Clean Water Program staff provided a program update to City Council. As part of this update, staff shared information on the status of the collection system and WWTP design projects, schedule of construction activities, overview of the financial strategies adopted to fund the program, and mitigation efforts taken to address the current competitive market conditions. The second phase of work on the Immediate Action Projects related to the Clean Water Program’s wastewater treatment plant upgrades is beginning. A $6.3 million contract for the second phase of the Immediate Action Project, or IAP2, was awarded to Myers & Sons Construction LLC on January 7 upon City Council approval. The IAP2 construction package includes five separate projects that are needed to add backup protection to vulnerable points in the digestion and dewatering and solids handling processes, and to repair effluent piping. Additional overflow and suction piping, and a third foam suppression pump, will be added to the digesters and digester piping. This additional equipment in the digestion process area will provide the backup and flexibility that the system requires. A third centrifuge system will be added to the dewatering process, which will provide adequate backup to the current centrifuge system. One large cake pump, which is located in the solids building and transports cake (i.e., dewatered biosolids) to a storage hopper, will be replaced by two smaller cake pumping systems. This improvement will provide appropriately sized pumps and backup to that system. An additional cake hopper that will store all the dewatered biosolids until they can be hauled away will be added immediately outside the solids building. It will include a slide gate, access walkway, and platform. This additional hopper will provide more onsite storage, time between truck trips to dispose of the cake, and resources for operations to maintain other tanks in the digestion process. Lastly, repairs will be made to underground effluent piping and pipe connections. The project will take approximately 20 months and is expected to be complete in late 2020.